Predictably, moments after reports that there’d been a terrorist attack in Paris, my twitter feed lit up with conclusions that Obama had once again failed us; that what was happening in Paris was his fault. Also predictably, those twitter comments didn’t identify the culprits as true believers in radical Islamic Fundamentalism, but rather, yes, the culprit was the sitting President of the United States. I don’t understand this. No, I take that back. I do understand this because it’s symptomatic of the mindset of many Americans who have embraced their own theocratic mumbo jumbo to the extent that rationalizing these kinds of events has become easy, no problem at all: The fault lies with the black man (Satan, of course) who lives in the White House, was born in Kenya, who embraces Islam, and cares not a whit about God (the Christian version), guns, guts, and apple pie which, as we all know, made this country great. God did, after all, write our Constitution. Sound familiar? Sure, it does. In fact, I think every GOP presidential hopeful subscribes to all or most of this mindset, as well as the Hallelujah chorus of supporters they’ve garnered for themselves. Why, the very idea of a New Millennium Christian Crusade blest by the Almighty to utterly destroy the Muslim infidels is surely going to be on the table when one of “ours” takes over the Lincoln bedroom. Yessir! Amen! While walking the dog a few nights ago, a couple hours after the news from Paris had certainly traveled far and wide, I heard gunshots off in the distance. My immediate conclusion was that some halfwit was girding up for the imminent invasion of Park County Colorado by the Godless Muslim hordes who’d attacked Paris, surely aided by minions of the Obama Administration hell-bent on taking our guns and apple pie away, (besides our religious beliefs, our health, our patriotism, our flag, our freedoms, etc., etc., etc.). Some may argue that American Christians have already failed their God. What with the homelessness and poverty already extant in this country. And what about our veterans? Have they become “strangers” to us all? Some may argue, Well, we need to take care of our own before we take on one, even one Syrian refugee. I would agree with that if it weren’t for the fact there’s a problem: If you are truly a Christian, you must understand that Jesus didn’t construct any filter, or rating system, or exclusions when he spoke through Matthew’s writings about the sick, the homeless, the thirsty, the imprisoned. I think America is better than this. Since when did fear become so invasive in our daily lives? Since when do we all see the bogeyman every time we turn a corner? Oh, I think I know when this happened anew (I say “anew” because it’s happened before). I think this all began in its most recent form sometime around 9/11. Was that a reason to be fearful? Of course it was. The thing is, though, the fear engendered by that horrible event was preserved by some very clever folks who bottled it all up and stuck a label on it. They labeled it: ELIXIR FOR SUCCESS. And, Voila!, those clever folks have been dispensing out a little portion from those bottles for a while now. And who are those clever folks? Why they’re the shepherds of the fearful flocks, the same flocks they’ve been priming with the fear juice for years. Haven’t yet figured who the shepherds are? Well, we can define them by the fears they’ve instilled in their flocks: gay marriage; a woman’s right to her own body, her own decisions; Mexicans, and more Mexicans; the minimum wage; confiscation of our guns; a black president; voting rights; universal health care; old farts on social security; poor folks on Medicaid; food stamps; campaign finance reform; and, yes, refugees that don’t happen to be Christian. Oh, there’s more of course. I could go on for a long time. But, I hope you get the point. Clever shepherds, huh? So, this evening, after I’ve made sure my 1911 Remington .45 semi-automatic gut buster is in good working order, I think I’ll set it aside, and put it back in the wool-lined case I keep it in. I keep the weapon in good condition because my father gave it to me, not because I fear what I might have to use it for some day—a home invader, maybe, that, up here, will more likely be a bear than a man. I don’t fear those kinds of things. Life is too short, too precious, too fulfilling to imagine the bogeyman is coming for me, much less sleeping in the Lincoln bedroom. It’s been two years since this saga began, and though I’ve not thought it that important to write about, it still sits at the back of my mind as something, well, significant; something likely shared by many who use inhalants to control asthma symptoms, find themselves with fungal infections, and loss of voice. So, I will share my experience, with the hope that others can avoid what I did not–both my own ignorance, and that of a series of doctors. Additionally, I started thinking about this again after moving from Denver, to the Colorado mountains. After about three or four months of living up here, I felt that my breathing had eased, that I no longer had the occasional raspy breathing I experienced in Denver. So, I stopped taking my asthma inhalant, Dulera. And, Voila!, I did well. My chronic hoarseness gradually disappeared, and my long-lost voice returned. It wasn’t until we experienced over a week of the smokey haze from the wildfires that recently erupted on the West Coast, that my breathing became somewhat labored, and I went back on the Dulera. The predictable result was, of course, that I lost my voice again. The cause and effect of that phenomena was, when this saga began, a mystery. Not now, however. But, that’s what this saga is about: the cause and effect of voice loss while on inhaled asthma medications. I have Kaiser Permanente health insurance. I love it. I believe Kaiser is, and has been for some time, on the forefront of providing reasonably priced, convenient, patient-oriented health care. It’s like one-stop shopping. Everything is under one roof. If your primary care doctor wants blood work, x-rays, prescriptions pursuant to your visit with him/her, it’s all taken care of at one place, on the same day. Your records are immediately available to any practitioner or technician in the Kaiser system via computer. You can interact with your doctor via email. And, for the most part, Kaiser doctors are capable and caring. But, even Kaiser has lapses. My saga began in June, 2013, with my primary care doctor. After experiencing pretty severe voice problems–like laryngitis–for some time, I finally made an appointment to see my PC. He had an intern following him that day, and both doctors heard my sad tale of severe hoarseness. They actually spent about thirty minutes with me, discussing the full spectrum of my complaint, even discussing my use of inhalants for my moderate asthma. Their conclusion: I probably have a damaged nerve in my voice box, and I was referred to an ENT (Ear, Nose, and Throat) specialist. My visit to the ENT specialist occurred about a month later. She numbed my sinuses, stuck that nasty tube with a camera on the end up my nose, and down my throat, and took a look. She sent me away with Prilosec, (yes, a medication for GERD–gastro-intestinal reflux disease), diagnosed hoarseness, and gave me a referral to another ENT doctor, who specialized in voice issues. Another month passed, and I visited the ENT voice specialist. Again, I was numbed up, and the little tube was stuck up my nose, and down my throat. He found that I had thrush, a fungal yeast infection, that appeared–I saw the pictures–as a white coating around my voice box. He sent me away with Clotrimazole (an anti-fungal medication), and scheduled me to return once the infection had been controlled. His diagnosis: chronic laryngitis. Of course, my long term use of inhaled corticosteroids was noted and available for the ENT voice specialist to see on my medical record. Even though I’d neglected to tell him about it, I’d assumed that prior to seeing me he might, just might have made a note of it. Apparently, he hadn’t. The ENT voice specialist’s nurse responded to my email inquiry, telling me that, yes, inhaled steroids can cause fungal infections, and that I must be diligent in washing my mouth out after each inhalation. She advised me to, “…keep your primary care physician informed about this.” Okay, I could do that. But, ahem, did her boss, the ENT voice specialist, know about this? I mean, shouldn’t he know too? My return visit to the ENT voice specialist occurred about three weeks later. He hurriedly entered the exam room and said: “Remind me why you’re here.” I was literally speechless. An uncomfortable moment passed, he looked at my chart, smiled, and said, “Oh yeah. Hoarseness.” Again, I was numbed up, and the camera was position to look at my voice box. He told me the fungal infection had cleared up, but–and he pointed to several pictures he’d taken of my throat–there’s still something down there. It may be cancerous, but…” He didn’t finish his sentence. The “C” word, and he didn’t even finish his sentence. I don’t have to tell you what was going through my mind. We discussed options. The first was to do nothing, and just wait and see what happened. The second option was to have a surgical biopsy of the “something” that was still there. Okay. Once a doctor mentions cancer in the context of, well, maybe yes, maybe no, I think anyone is going to conclude that a biopsy is necessary. Catch it before it spreads. Cut it out. Get rid of it. And, pretty much without hesitation, I told him, yes, schedule the procedure. He then told me, “You know, when I’m in there for the biopsy, I can inject your vocal chords with botox. It will definitely bring your voice back. It won’t last very long, and you’d have to repeat the injections. Whadaya think? Should I do that, too?” I said okay, Let’s do it. And the surgery was scheduled for later in the month. His diagnosis: Voice disorder, Dysphonia (difficulty in speaking due to a physical disorder of the mouth, tongue, throat, or vocal cords.) His follow-up and disposition: Return for surgery. I went back home. Suffice it to say, I had a lot on my mind. And, I began looking again at all those websites that discuss the correlation between inhaled corticosteroids, and fungal infections. But I added a new key phrase: loss of voice. I won’t include links, as there are many. It was probably less than a week when I made my decision: No, he’s not going to snip something out of my throat, and he sure isn’t going to inject botox into my vocal chords. I know what’s going on with my voice, even though he obviously doesn’t. I cancelled the surgery and, as they say, the rest is history. Two years have passed, and I’m doing fine. As I noted above, I’ve even done my own little verification that asthma inhalants do cause loss of voice. When I’m on the inhalants, I lose my voice. When I’m off them, my voice returns. Case closed. Now, having revisited this issue, I think my conclusion is that my first stop should have been with my allergist rather than my primary care physician; someone who would have probably diagnosed my loss of voice with a, “Duh! Your inhalant is causing that.” That said, however, glosses over the responsibility of all those other docs, the ENT specialists especially, to spend a little time before giving a diagnosis that, in my case, had some pretty serious consequences. Hell, maybe all those docs should have simply spent some time on Google, keywords: Asthma inhalants and voice loss. I know. Never attempt to diagnose your malady via the internet. Or so they tell you. But, there’s no crime in being absolutely informed when you sit down with your doctor to discuss symptoms. If I had been better informed, the outcome of my saga may have been different. 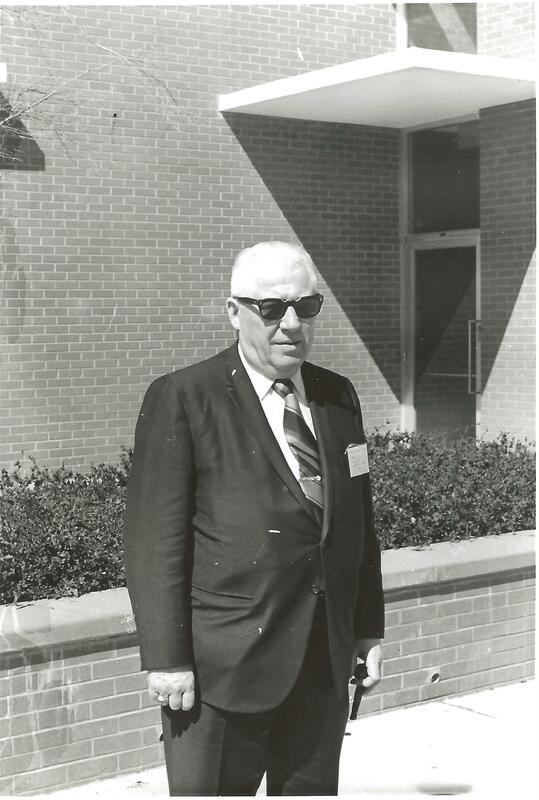 My father was a career cop, serving as Denver’s police chief during those dark, and dangerous years from 1968 to 1972, a time when it seemed America was precariously close to the abyss and quite ready and willing to topple into it. He was a hard-as-nails bear of a man, a cop’s cop; considered by many folks of color to be their enemy. That he had read Maya Angelou before I had, that he had seen the worth of her wonderful words and wanted to share them with me, still impresses me with wonder and a lasting wish that I had known him better than I did. That Maya Angelou had touched something in his heart, or his soul remains to this day not a mystery, but an incongruity that perhaps I will never understand. I do not know, and I will probably never know why he underlined that sentence. 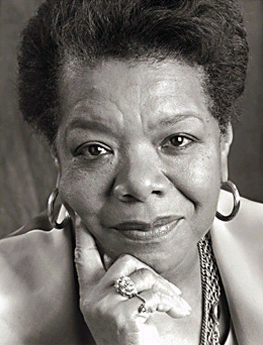 Godspeed Maya. If you run into the old man, please sit with him for a while. I believe he would enjoy that, and maybe he would share the part of his heart with you that he never shared with me…or anyone else.